One of the steps that must be covered when creating a comprehensive HACCP plan is monitoring. Once you have performed your hazard analysis and decided which hazards are critical and must be dealt with using control measures, you can begin to implement these controls into the production process. However, you cannot simply set them and forget them, as they must be constantly monitored to ensure that all critical control points stay within the critical limits laid out in your plan. This is where an efficient monitoring system comes in, as it allows you to detect the slightest deviations, and act upon them quickly if necessary. The HACCP team should identify these factors for each CCP, based around the specific hazard at that point, with early warning systems in place, not just alerts after critical limits have already been reached. Often a data analysis plan is useful to give you the appropriate information necessary for this monitoring to take place. One of the key factors that determines the success of the monitoring stage and HACCP plan compliance is the equipment used. Modern, up-to-date equipment can detect small but significant fluctuations in critical values and send out alerts before damage has been done to the product. The very latest technology can connect with computer systems to log and record data (as must be done with an HACCP plan) and even send out warnings via SMS or email. Amongst the most advanced monitoring systems available at the moment is the Klipspringer WatchmanOne. Out of all the systems we’ve looked at, it offers the most accurate monitoring results at the best price. The system comes in two forms, either the larger DATACentre or the more targeted Midi version, allowing you to pick a level based on how extensive the monitoring needs of your process are. The WatchmanOne takes advantage of the internet of things branching out into business, and can utilise a wifi network, even your existing one, to transfer monitoring data from the data/midi centre to networked PCs. In effect, this means that you don’t have to have a whole dedicated monitoring computer system, but rather can integrate it with your existing computer network. This not only saves on installation costs, but also on time, as you can streamline monitoring checkups with already established workflows. All of this communication is safely secured using user security levels, passwords, and IP addresses to maintain the integrity of the process, and email and SMS alarms can be created for notification of critical limit deviation. It’s not just the software side that helps the WatchmanOne stand apart from the crowd. The hardware is also designed to be adaptable yet reliable, suiting the variety of needs and environments of an HACCP monitoring procedure. Sensors can be internal or external, allowing flexibility of placement, with a sensor housed in a roof void, for example, with a probe through into a chiller or freezer. On top of this, in areas where water could be a potential hazard, the data centre can be covered by IP67 rated waterproof housing, completely protecting the unit. The hardware is modular and can be extended using Wi-Fi repeaters to ensure optimal coverage of production areas. The WatchmanOne is also adept at dealing with the data that monitoring devices put out. 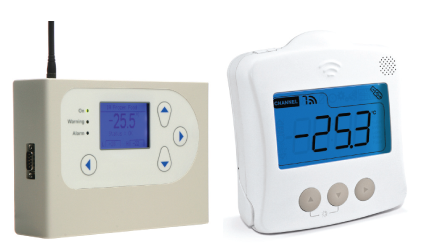 It’s not just limited to temperature sensors, but can also deal with sensors for humidity, door open/close, even roaming ones for in-transit data that can be set up to download on return. In fact, any device with a compatible output can be monitored and recorded by the capable device, even the more obscure ones such as electrical stun amps and gas analysis. All of this data can then be output in graph form, whether on the device’s screen or exported to computers, or checked realtime via IP address. The device can even save up to 10 years’ data on-board, and roaming sensors can be used in vital areas to ensure all data is saved, even in the event of power failure. With the sheer amount of capabilities of the WatchmanOne, not to mention all the potential monitoring factors in your HACCP plan, you might feel overwhelmed. However, Klipspringer do offer a free site survey by their experienced problem-solving team, so if you’ve followed all the steps to create a great HACCP plan, they can help you work towards setting up a monitoring system for it, tailored to your individual plant needs. They have a no-pressure free demo on their site, which could massively cut down on the work required to get your plant up and running. 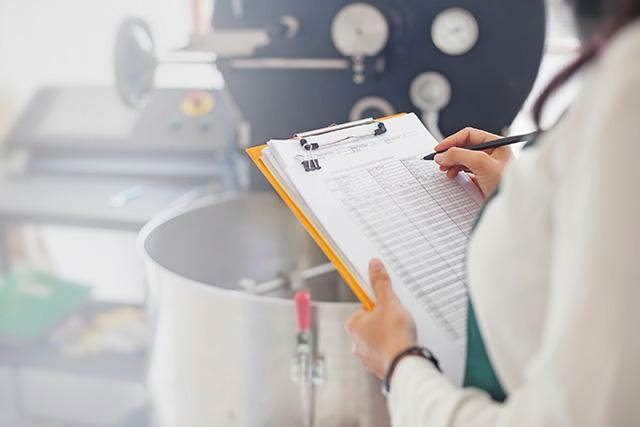 Overall, this article should hopefully point you in the right direction towards planning and executing the monitoring stage of your HACCP food safety plan. A well run set of monitoring procedures can ensure no contamination or product errors, and a high-tech system can be good enough to prevent critical levels even being broken, saving you money in the long term from wasted product or expensive recalls.